Located next to Chola Sheraton in Cathedral Road, this hotel is not on the hi-fi range…it is a decent one though! 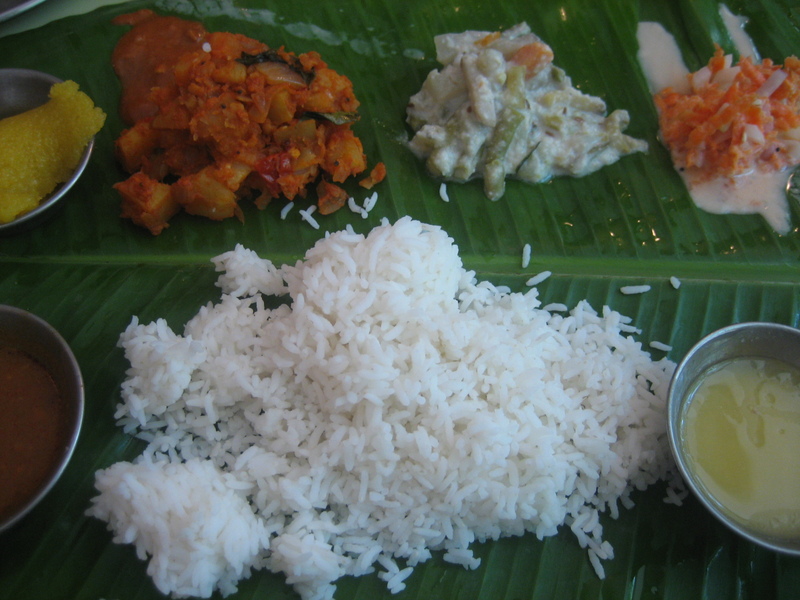 The vegetarian restaurant is known for its “Ilai Sappadu” – whole meal served in Vaazhai ilai. The food is good and simple. Few items in ilai sappadu can be spicy but yea…that depends on individual spice levels! Btw, you cannot reserve any table in the restaurant; just walk in and find a place 🙂 Beware of crowd on weekends. Reservation Required? : No reservations; Just walk in & be lucky to find a place.